If you do need to make any changes to your delivery then please ensure that you call The Cubhouse on 561-328-9936. If you send us an e-mail then we cannot guarantee that this will be read before your order is dispatched. Our shipping matrix is below. We calculate our shipping rates based on overall picnic basket total. The shipping cost is the same across mainland USA and depending on location and weight will be delivered by either USPS or UPS. An example would be if you bought Pudgy (31.36 ounces), Ragdoll (13.12 Ounces) and Jonjare (9.44 Ounces) your total weight is 53.92 ounces or 3.37 lbs - therefore your shipping for mainland USA would be $7.50 in total. Your items will be packaged individually in their own boxes and either strapped together or placed in another box so you receive them as 1 parcel. We do not currently ship internationally and only deliver to countries listed in the above table. 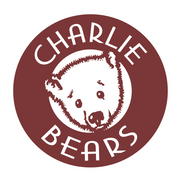 If you are shopping in Australia please visit Charlie Bears Direct Australia or for any where else in the world please visit Charlie Bears Direct UK.